Pursuing his pledge to make Louisville a more caring city, Mayor Greg Fischer signed a resolution committing to a multi-year Compassionate Louisville campaign on November 11, 2011. 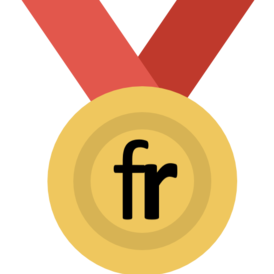 Fischer's action meant that Louisville was recognized as an international compassionate city, one of the largest city in America with that distinction (along with Seattle and Houston). The City of Louisville is now recognized by Compassionate Action Network as a Model City, and is sharing its success stories, its resources, and its leadership with scores of other cities. 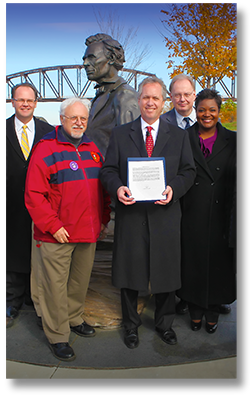 The Compassionate Louisville resolution was approved November 10, 2011 by the Louisville Metro Council and signed the following day by Fischer at a ceremony held next to the Abraham Lincoln memorial in Waterfront Park. "Being a compassionate city is both the right thing and the necessary thing to do to ensure that we take care of all of our citizens," Fischer said. "There's a role for all of us in making sure no one is left behind or goes wanting." To help develop and implement Louisville's city-wide campaign for compassion, Fischer created the Partnership for a Compassionate Louisville, which is co-chaired by Tom Williams, an attorney with Stoll Keenon Ogden, and Sadiqa Reynolds, Fischer's chief of community building. The campaign has included developing alliances with key local and international organizations and groups that focus on compassion. Fischer said Louisville is home to a "critical mass" of such organizations including the Muhammad Ali Center, Center for Interfaith Relations, Presbyterian USA headquarters, Edge Outreach, and universities and seminaries located in Louisville. Hospitality: We will welcome guests in the name of compassion. Local, national and international guests will be encouraged to come to exchange ideas and practices. Abundance: What we have is enough if we share and if we allow it to flow. We have the capacity to provide what we need in the face of the human condition. Awareness and Understanding: We strive to keep compassion in our daily thoughts and practice, and to understand the meaning of compassion and its relation to charity, justice and good works. We become increasingly aware of how we practice compassion and of opportunities to grow our practice of compassion. Intention: We make a conscious choice to continually grow both our commitment and capacity for compassion. Our commitment to compassion moves us to practice compassion where we are able. Compassion: This is the shared purpose and principle. Compassion is common ground and a unifying force in our polarized world. Compassion impels us to work tirelessly to alleviate the suffering of our fellow creatures, to dethrone ourselves from the center of our world and put another there, and to honor the inviolable sanctity of every single human being, treating everybody, without exception, with absolute justice, equity and respect. Compassion is the bridge between internal practice and external change. Beauty: Compassion calls for a beautiful morality. It seeks to see the beauty in what is, and to incorporate the shadow. If a morality has beauty, it is compassionate. Inclusion: Anyone and everyone who commits to compassion is welcomed. Empowerment. This campaign is about empowering people to make a difference in their own life and the lives of others. Transparency: There is no political agenda. This effort exists to enable compassionate living to help the citizens of our community reap the benefits that come from living a compassionate life—which are many. Universally Positive: “The best criticism of the bad is the practice of the better.” -St Francis of Assisi. This effort is solely designed to advance compassionate action and will have no opinion on outside issues. Social Innovation: Individuals and groups are free to embody compassion in their own ways. Social innovation is encouraged. Paying it forward. Anyone who participates “owes” no one anything other than to “pay it forward.” People are encouraged to participate simply to experience first hand the thrill and joy associated with compassionate living.